A collision between a bus carrying Nigerian tourists and a truck in the Golan resulted in dozens of injuries - and the bus driver's death. A bus driver, 58, from Nazareth died and forty passengers were injured when a truck slammed into the bus at the Golani junction, west of Tiberias, in the direction of Beit Rimon. Several Magen David Adom crews responded to the accident to provide first aid for the injured. The bus driver, who sustained serious injuries in the collision, was treated at the scene and airlifted to Rambam Hospital in Haifa - but later succumbed to his wounds. Police say the accident occurred after the bus - carrying Nigerian tourists to Ben Gurion Airport - was stopped at an intersection. The truck, they say, smashed into the back of the bus. The driver was reportedly outside the bus, standing near the point of impact, and may have been inspecting the bus. Investigators have not concluded their inquiry, but say the accident appears to be the result of poor weather conditions and reduced visibility. They caution drivers to take extra care on the roads in inclement weather. Another accident occurred this morning in Israel's south. An ATV rider was seriously injured when he overturned at the entrance of Kia in the Negev. 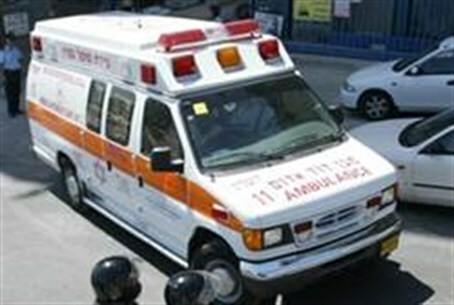 An MDA team was called to the scene and took him to Soroka Hospital in Beersheba. The accidents come as Israel enters its winter season. Torrential downpours and moderate winds have been forecast for the weekend, with flash flood warnings being issued in Israel's north, where today's accident took place.